Looking to train your dog or solve some dog behavior issues? This audiobook not only allows you easy entry into the dog’s mind, but gives you real-world programs to help you train and develop your dog! This audiobook will help you demystify how your dog interprets the world around it. You will also get a solid, dog-professional-level understanding of how best to communicate with your dog that will really resonate with it. No matter if you are a first-time or lifetime dog owner, you will learn to see our world through your dog’s eyes. For dog training or dog behavior issues, this audiobook provides several toolkit solutions, authored in easy-to-understand detail and without jargon and all using modern science-based reward techniques. You will learn what works and what does not work when engaging your dog in play, training, or behavior modification. You will learn the five Cs of effective dog communication, the perfect method of training, the Kintala principles of dog engagement, and so much more. 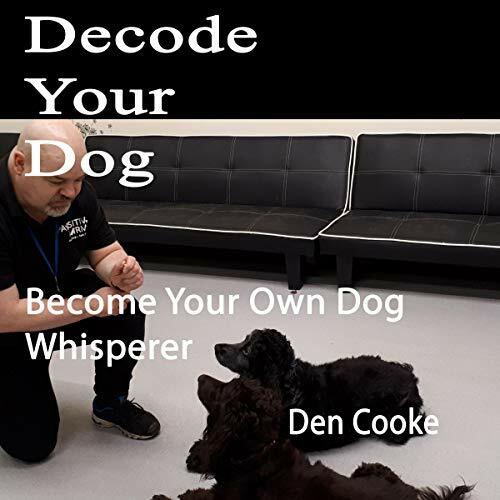 If you want a nonacademic guide that gives you real insight into getting the best out of your dog and also allows you to be able to talk to, on equal terms, dog professionals on all things dog behavior and training, then this is the audiobook for you. It does not matter where in the world you live - the language of dog is universal. This is the guide your dog would create if your dog could create one.